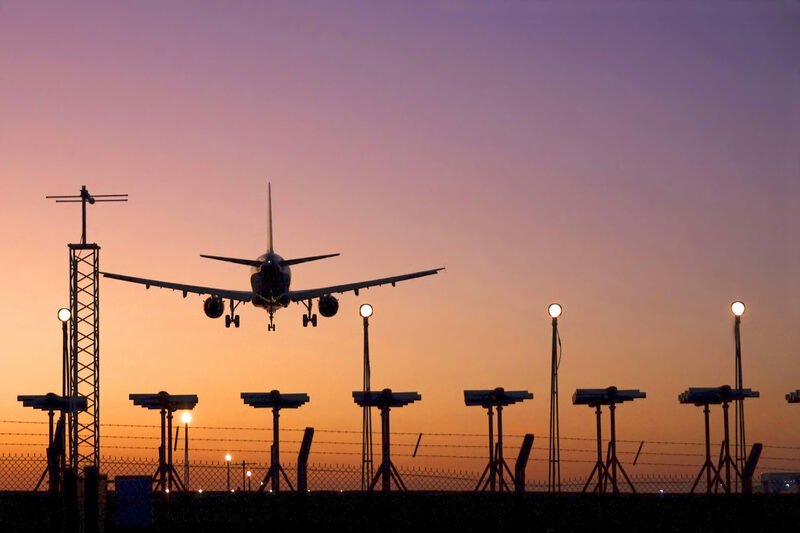 In recent years the air traffic delays in Europe has increased quite a lot, and last summer we experienced many delayed flights resulting in a waste of time for passengers using air transport for well-deserved and longed for summer holidays. Europe experienced the same situation during the 90ies. Back then, the European politicians took action and established a new set of EU regulations (Single European Sky (SES) regulation), later implemented into Norwegian law, and finally established a technology development programme; Single European Sky Air Traffic management Research programme (SESAR). SINTEF, as a broad, multidisciplinary research organisation with international top-level expertise, wanted to take part in the improvement programme for European Aviation, and qualified as a member of SESAR Joint Undertaking in 2008. 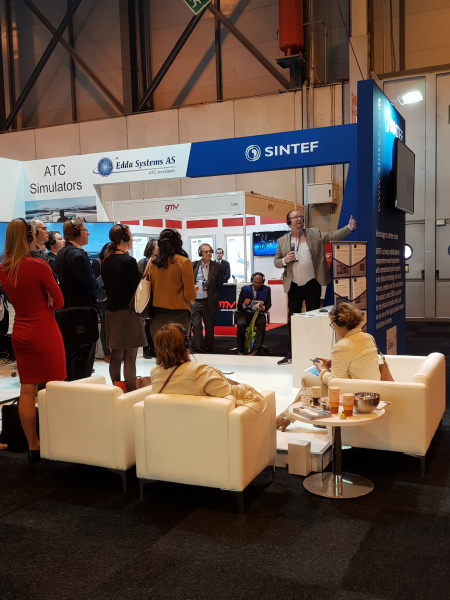 This year SINTEF exhibited at the World Air Traffic Management Congress (WATM) in Madrid, demonstrating project result from two of our recent projects. The congress is the world’s largest international air traffic management (ATM) exhibition and conference, and attracted over 9,500 registrants this year. SESAR arranged a walking tour with presentations at the congress. 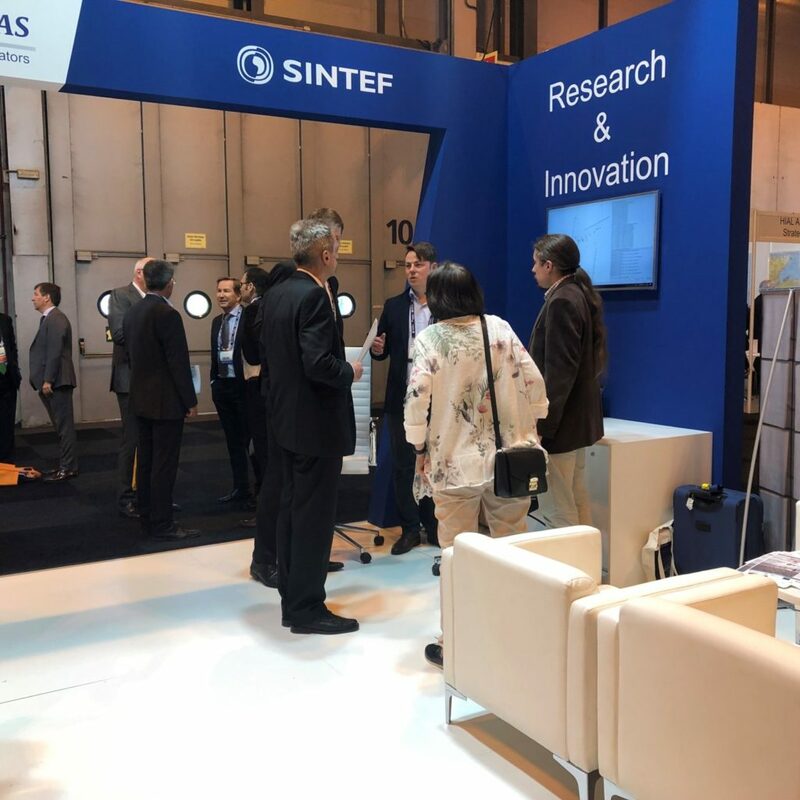 Here the group is visiting SINTEFs stand. The first demo looked at the organisation of the airspace. Today the airspace is divided into a lot of sectors where one or two Air Traffic Controller Office (ATCO) has responsibility for the traffic in one sector. The sectors are drawn up on a map, so that both the pilot and the ATCO know the boundaries. When approaching a sector boarder, the pilot needs to change radio frequency so that he can talk to the ATCO responsible for the next sector. When too many aircraft want to fly into the same sector, the workload for the ATCO becomes too heavy, and the traffic need to be regulated. This is how you as a passenger on an aircraft gets a so called “slot time” with a delay. Erik Nilsson demonstrating the project on organisation of the airspace. Today, the airspace is very static and the freedom to redesign the sectors is very limited, hence traffic regulations and delays. 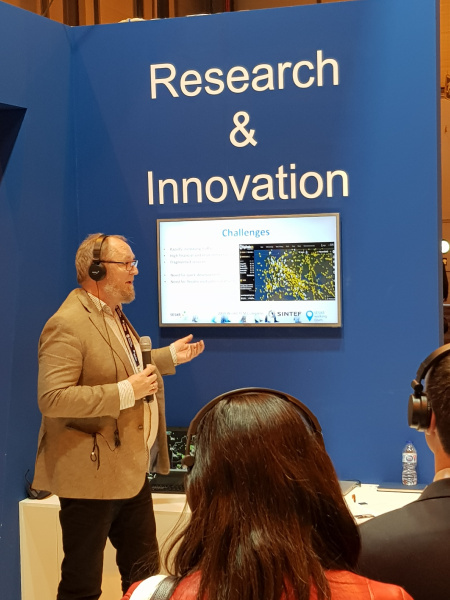 In the Advanced Airspace Management project we enhances the operational processes and develop automated tools that will support Sector Design and Sector Configurations according to a Dynamic Airspace Configuration (DAC) Concept. With this system the sectors may change according to traffic demand and the change of traffic patterns and requirements during a day. SINTEF has developed a Controller Working Position (prototype) and tested the dynamic airspace management together with international partners and controllers. The second demo SINTEF gave at the WATM looked at how to increase the airport runway throughput. Patrick Schittekat demonstrating how to increase the airport runway throughput. The time the aircraft spend on the runway and taxiways, and the pauses between aircraft determines how well airport capacity is used. Today, the systems used in ATM mostly work in isolation, i.e., without a holistic view. Currently, runway (mixed-mode) operations are achieved by agreeing a fixed departure/arrival rate between approach and tower control (flow-based integrated runway sequencing). SINTEF successfully validated an alternative approach – a trajectory-based integrated runway sequencer considering the minimum pairwise separation between the flights to determine the optimal target times for landing and take-off. SINTEF want to utilize mathematical optimization support, then mixed-mode runway operations can be achieved with a much better co-ordination resulting in increased performance. Tests of the SINTEF RWY sequencing prototype has shown that decision support to the ATCO improves throughput with up to 5%, and with an increased punctuality of 60 %. Increased runway throughput is important for the airport owner, while punctuality is more important for the passenger. See more demoes in this post about SINTEF Avation Open Day that was arranged last year.